Since 1976, J.D. Services, Inc. has been providing quality CAD drafting technical support services throughout Ohio. Our primary clients include architects, engineers, surveyors, facility managers, and property owners. Our knowledgeable staff has a diverse background of expertise in the electrical, mechanical, civil, and architectural drafting practices. Judy Day, our founder and CEO graduated with a BSEE from Ohio Northern University, Ada, Ohio. Before starting J.D. Services, Inc. Judy was employed by the US Air Force where she was a project manager involved with missile guidance systems. 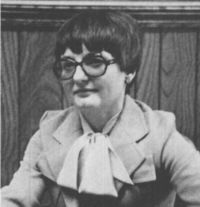 Judy then went to work for Cooper Energy Services where she was a project manager involved with the controls side for natural gas and transmission. The original office was located on 18 acres of land near Mt. Vernon, Ohio. We are now based in Dublin, Ohio, convenient to all of Columbus and Central Ohio. Before computer-aided drafting, there was simply "board drafting," and we produced top quality plans for architectural, civil, electrical and mechanical needs of that day. Throughout the 1980s, many drawings were done by hand. 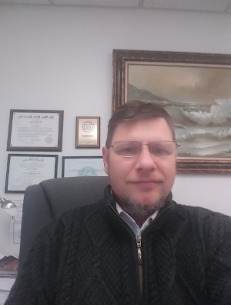 Mark Day, senior project manager graduated in 1999 with a BA from Ohio State University and also received a two-year ABET electronics degree from Excelsior College in New York. In addition Mark has numerous Autocad certificates and has had extensive training with Autodesk products for over twenty years and counting. Mark has had extensive on-site experience with process control systems and the documentation of piping, valves, and equipment. Today we remain at the pinnacle of CAD modeling and drafting, serving the needs of modern construction and engineering clients nationwide, and also providing technical staffing for firms with temporary and permanent employment needs.